Feast Down East at UNCW on Friday, Feb. 10. Photo by Taylor Doss. Tracy Scott passed out samples of marinated strawberries and arugula salads to eager and curious folks waiting in line. All these samples were enhanced with gourmet dressings of her own making, that she prepares with only locally grown and organic ingredients. Scott is the proprietor of a small business that made its debut at the 7th annual Local Food Conference, presented by Feast Down East and hosted by University of North Carolina Wilmington on Friday, Feb. 10. “This is my first year participating, but I plan on returning, it’s a great outlet of exposure for us,” she said. 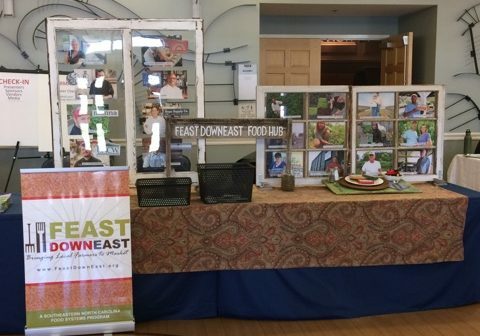 Feast Down East is a nonprofit organization that works to grow the local food system in Southeastern North Carolina, and from that effort, small businesses like Scott’s benefit through networking, and consumers have a steady supply of local foods. Several other local venders were in attendance to network, like The Hemp Farmacy and Front Street Brewery. Dr. Lori Messinger is the associate vice chancellor for external programs at UNCW, and is originally from New Jersey where farming is a large part of the economy, like in North Carolina. “I’ve seen too many families have to sell their lands to big business conglomerates, and the collaborative efforts of Feast Down East help combat that,” Messinger said. 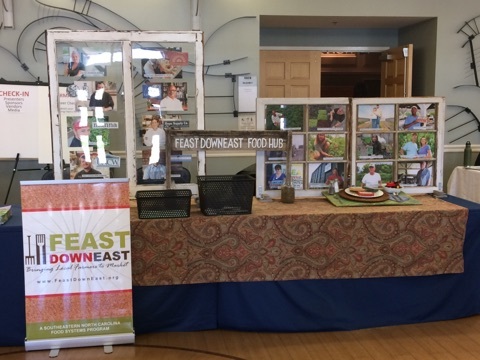 “We need to create a demand for local food and keep a greater percentage of the food dollar in our counties, said Dr. Leslie Hossfeld, the president and co-founder of Feast Down East. “Creating a short supply chain, a radius of 75 miles, is part of that” said Leslie Hossfeld. This work will allow business owners and farmers financial security, contributing to a secure local economy. “We’ve fought an uphill battle in North Carolina, to support and take over our food supply,” said Executive Director Jane Steigerwald, who announced the formation of the Cape Fear Food Council, to be headed by Feast Down East associate director Sarah Daniels. Daniels believes that a key function of Feast Down East is to bring all the voices for locally sourced foods together to consolidate their ideas. “Coming together as a collective voice allows greater impact when you are trying to get something done,” she said. 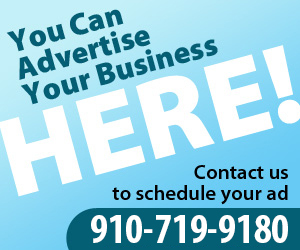 The Cape Fear Food Council incorporates these voices from different sectors, such as small business, farmers, and consumers, and channels those voices into creating the strongest network possible. The event allows for networking opportunities and serves to teach young people about the benefits of a strong local food network, so that they can continue to further the cause. “We want to be able to provide our future generations with local, healthy, and affordable food,” she said. Randy Gore recently retired from his position as the North Carolina State Director of Rural Development. “Getting close to retirement can be tough but to see the youth following behind you makes it that much easier,” Gore said. New Hanover County Board of Commissioners vice-chairman Skip Watkins invited Feast Down East to take part in the Cape Fear Fair, which he manages, to increase their notoriety in the area. Watkins offered the opportunity for Feast Down East to share their message with the 30,000-40,000 patrons of the fair to empower local agriculture and fishers. “The local economy relies on agriculture, education, and industry,” Watkins said. Craig Love revived an Agrarian Stewardship Award. Love owns and operates the Surf House Oyster bar. As the owner and the chef, he buys and uses local ingredients grown from the ground and caught from the sea. “Ask questions about where food is coming from, and make the effort to find restaurants that serve locally sourced food,” Love challenged the event’s audience.